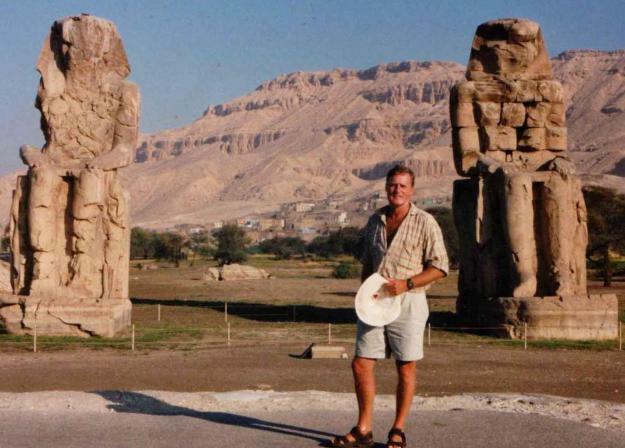 Welcome to Howard Middleton-Jones Special Egypt Coptic Archaeology Tours&Research. Howard Middleton-Jones is an archaeologist specialized in both the Early Celtic Christendom and in the Egyptian archaeology, especially the Coptic Period in Egypt. He also is tutor for the Continuing Adult Education (DACE) programmes at the Humanities College Swansea University, Wales UK. He has responsible for the development and teaching of modules on archaeology and Coptic Studies He has been visiting Egypt for over 20 years and has built up a reliable network of associates and contacts in various areas of tourism and archaeology. Please do not hesitate to contact us for further information concerning Egypt Coptic Archaeology Tours and/or our Tours & Studies! Introduction to "Egypt Coptic Archaeology Tours"
Howard Middleton-Jones organizes Special Egypt Coptic Archaeology Tours&Research and academic lectures. He is also a keen photographer, who specializes in both the desert landscape Egypt sites and in Keltic Heritage Gower Peninsula. Concept of "Egypt Coptic Archaeology Tours"